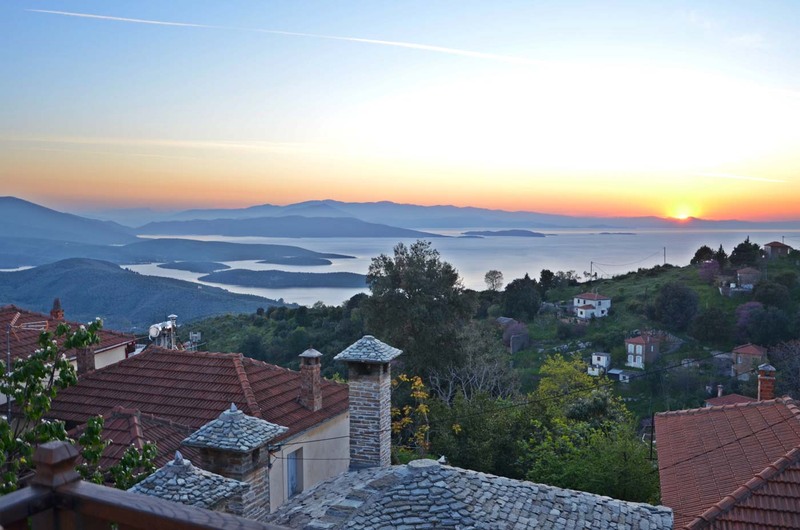 The building is located inside the village, very close to the central square with a panoramic view to Pagasitikos. Access is done through the traditional streets of the village with the well-preserved old houses and mansions, away from traffic noise. Its construction is estimated in late 19th century. It grows in G (gamma) shape, the one side of which-including the rooms – has three levels, while the other side is a ground floor for auxiliary uses and guesthouse facilities. The courtyard is delimited by the two parts of the building, while the other two sides have maintained the old walls of the house. You may enter through the old wooden gate with obvious signs of the time and you are now in the courtyard which is covered with plates under the thick foliage of the trees. It faces towards the building’s basement with the kitchen, the traditional old oven, used by the previous tenants as well as the common area, while on the left you can see the three-storey part of the rooms. 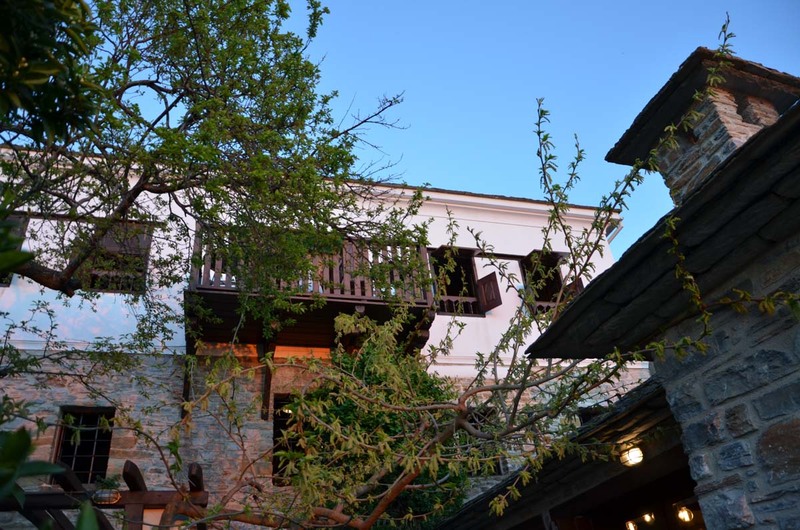 The main part of the building (visible wooden ceilings, exterior and interior stone walls) has been repaired and strengthened at the beginning of the previous decade. These repairs maintained and reused a big part of old materials (stones, wooden roof beams), the wooden staircase with its original lock and the typical big key, as well as the stone oven in the kitchen. The guest feels like entering the old building, as was constructed over a century ago. It therefore differs from the majority of similar buildings, which are either new constructions imitating architectural trends of the past or old buildings with obvious interventions and additions to the reconstruction.